Episode 553: Four Keys to Navigating Success, with Stephen Woessner. Good Morning Onward Nation — I’m Stephen Woessner — and welcome to Episode 553. And welcome to today’s solocast. Now, truth be told…it has been about 8 weeks since my last solocast recording — and I really missed the process of preparing a deep lesson — something meaty — that I could share with you on a Wednesday morning — just you and me. And today’s lesson has me really excited — because we are going to dig deep into navigating success…not how to become successful…as in the magic or myth of an overnight success. But instead…as you put in the long hours, as you make the sacrifice, as you put in the major, consistent effort, as you invest the long nights, as you get up early in the morning…as you push yourself to make one more phone call when you would rather relax after an already long day…and you have done all of that and you begin to start to see success coming your way…and you begin to see the laws of momentum turn toward your favor…the four keys to navigating success that I shared with you today will help you maintain perspective…they will help you keep a level head…and keep you on the lookout for new opportunities…and focused on creating the right team with the right culture…so you not only enjoy your current level of success but you will be well positioned to enjoy what is yet to come on your horizon. I am very excited about today’s lesson and what I call the 4 keys to navigating success. Before we dive in — I want to take you quickly behind the green curtain here at my core business, Predictive ROI, so you have some additional context as to why I haven’t recorded a solocast in 2 months. My team and I, along with several of our Predictive ROI clients, my publisher, my agent, and a whole host of partners…have been working very hard over the last 18-months to bring you my next book entitled, Profitable Podcasting. Of course I am biased….but this book is without a doubt the epitome of teamwork. My teammates at Predictive ROI helped write several chapters and our clients generously shared their stories in full transparency so you could apply the same recipes for success. I believe this book will be a game changer for the 12 million small business owners in this country who cite growing revenue as their biggest challenge. The book just went live on Amazon and is in the process of rolling out to all major retailers. So if you want to be one of the first to get a copy…Amazon is your best bet. But hurry…their initial inventory is not going to last long — it already hit #1 New Release in Podcasting and is continuing to climb the overall charts. Onward Nation…it would really mean alot to me and my team if you’d order a copy. You can find all of the details at OnwardNation.com/Profit. So…that’s a little back story into why I needed to make a shift in my schedule. Okay…let’s get back to today’s lesson. Over the last couple of years…we have had the incredible opportunity to learn from some of today’s top business owners — 552 episodes to be exact — where we have learned how to build and scale our businesses…we have learned critical skills…we have learned the depths of mentorship…and how to overcome even the most devastating failures and how they got back up again to fight another day. We have learned incredible lessons of resilience…stories that as I was listening to them…my mouth was hanging open in disbelief because of the impact I knew the guest would have on you, Onward Nation, once we aired their episode. And now that we have aired 552 episodes — or actually 553 counting this solocast — I know in my heart — we are just getting started in working toward our mission — to serve and support the 28 million small business owners in this country so they can build and scale their business — and more specifically — the 12 million owners who cite growing revenue as their top challenge over the next 12 months. And today’s lesson…the 4 keys to navigating success…can play a vital role. I learned the first key to navigating success from Peter Maronitis. Peter was one of my most influential mentors in business and in life. Peter was born in Istanbul, Turkey in 1902…at a time when it was not awesome to be a Greek male in Turkey. The Turkish government outwardly condoned ethnic cleansing or genocide in the streets. If you were an adult Greek male…your daily reality was that you would leave your home…try to make it work…scrape out a living for your family…and then make it back home that night. But if you were not so lucky…you were intercepted on your way to work…and then executed in the streets…you might have been hung in the town square for everyone to see. And it wasn’t just the Greeks who were publicly murdered. It was the Armenians, too. In total…over 3.5 million people were murdered…and Peter’s family fell victim to that. When Peter was just 8 years old…his father didn’t come home one night after work. He was either whacked behind a shed somewhere…hung…or ditched in a harbor. Whatever his father’s fate…Peter’s dad never came home. So now…Peter…was the man of the house at the ripe old age of 8. He dropped out of the third grade in order to make enough money to try and support his Mom and two younger siblings. And he did with a smile on his face. He didn’t complain…he worked hard…and during that hard work…a dream was ignited…a fire began to burn in his belly…he dreamt that he would someday make his way to the United States. The United States was to Peter the land of endless opportunity. The land where he could realize his dream of owning his own restaurant and taking care of his family. Well…10 years later…Peter got his chance. He was able to make his way to the U.S. along with a bunch of other Greeks from Istanbul. He felt like he was on his way — navigating his success, Onward Nation. But in order to do that…he had to sacrifice…he had to leave his family behind with the promise that he would come back and bring them all to the United States to live with him once he was established. Peter arrived in Canton, Ohio in 1920. Canton was a very popular settling spot for many of the Greek immigrants of the day. Peter had $10 in his pocket, couldn’t speak the language…but he knew he wanted to own a restaurant. But it’s not like he could launch a Kickstarter or Go Fund Me campaign…or work his LinkedIn network…or ask his Facebook friends for a place to stay. No…it was about work, Onward Nation…very hard work…each and every day. Peter washed dishes and cut vegetables on the night shift in a downtown Canton, Ohio restaurant for 6 years…but after just 6 years in a country where he started with nothing…Peter had saved enough money to open his own place…a restaurant that he called, The Ideal. The year was 1927…just two years before the Great Depression. Not awesome. Because during the Depression…Peter gave away more soup than he ever sold…and I like to think he created the original value meal…homemade soup and sandwich for a nickel. How’s that for value, Onward Nation? But Peter gritted it out…he saved his money…he met an amazing woman, Julia…and they had four children along the way. And he also returned to Istanbul and brought his family over to live near him in Canton, Ohio. Momentum…Peter was navigating success, Onward Nation. Peter’s business plan was simple — if you take care of your customers they will take care of you. And they did…for over 42 years. Peter never complained about having to drop out of the third grade…or the struggles…or the hardships. To him…all of these lessons provided him with context…provided him with reality…they helped ground him…so he could evaluate people and opportunities more effectively. And he did just that. Peter believed that a person’s inner circle was the ultimate litmus test. If a person had successful friends…then the person in question was likely a success, too. If the person hung around with losers and those who lacked ambition and drive — it was a good bet that the person in question was likely headed nowhere with his or her life. Your inner circle matters, Onward Nation. And that is your first key to navigating success. Your inner circle is a reflection of the company you keep. If you hang around with people who don’t have goals…who are not striving to become more…who are happy with being average…then you will soon have that same view of the world. But if your inner circle consists of people who move at a pace and a tempo that pushes you…then you will grow in the process. Here’s a silly example but it’s a good illustration. Say you are walking through the mall with five of your friends…and they are walking slowly, window shopping, and talking…what do you do? Do you speed up or do you slow down? Now…conversely…let’s say you are walking through the mall with five friends who all walk with purpose…with speed in their step…and determination to find what they seek. Do you speed up to keep pace or do you slow down? Right…you speed up…unless you want to be left behind. Nothing…nothing…nothing, Onward Nation…will impact the trajectory of your business and your life as your inner circle. The great Coach John Wooden used to say… “You will never outperform the five people you spend the most time with.” And Peter Maronitis would have certainly agreed with Coach’s philosophy. Your inner circle matters — a lesson I learned directly from Peter Maronitis, a humble Greek man from Istanbul who was so proud to have made it to the United States…and to have made something of himself…to give his family the promise of a better future. I proudly share Peter’s story with you, Onward Nation…because Peter was my grandfather. He took the risks to come to a country where he had nothing. He had no money…couldn’t speak the language…and yet he put it all on the line…so his family — so I — could have a better future. So that I could be born and raised here…and so that I could be with you…today. Rest assured…there are many late nights when I am sitting at my desk…and all I want to do is go to bed…and I look at a photo that I have framed and hanging in my office. 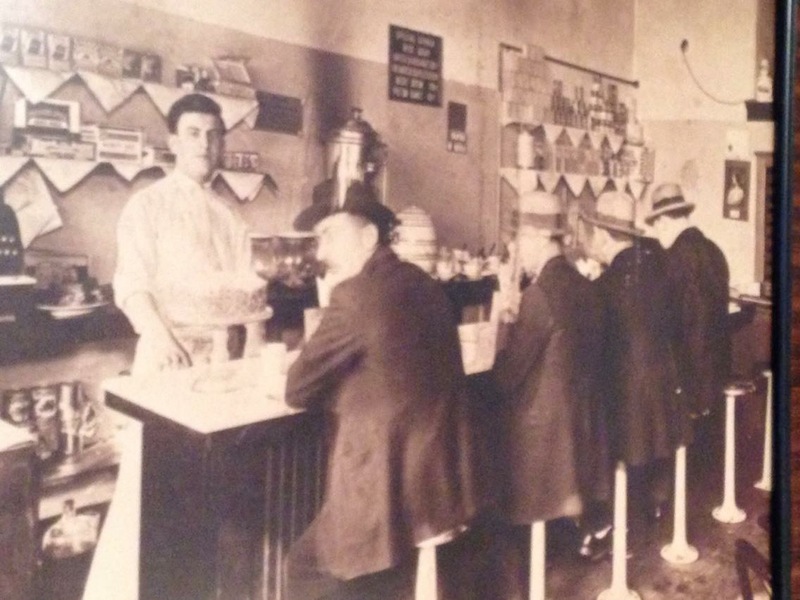 It is my grandfather standing behind the lunch counter of his first restaurant…with four customers sitting at the counter. And Peter is looking directly at the camera. I see the expression of determination on his face. Powerful lesson taught to me — and now shared with you — from a very humble man, from meager begins, who despite the lack of education — succeed far beyond his wildest dreams. Now let’s move to the second key to navigating success. And I learned this key from my friend, mentor, and two time Onward Nation alum…Misty Lown. It has been my honor to interview Misty for Episode 544…and then way back in Episode 80 in 2015. 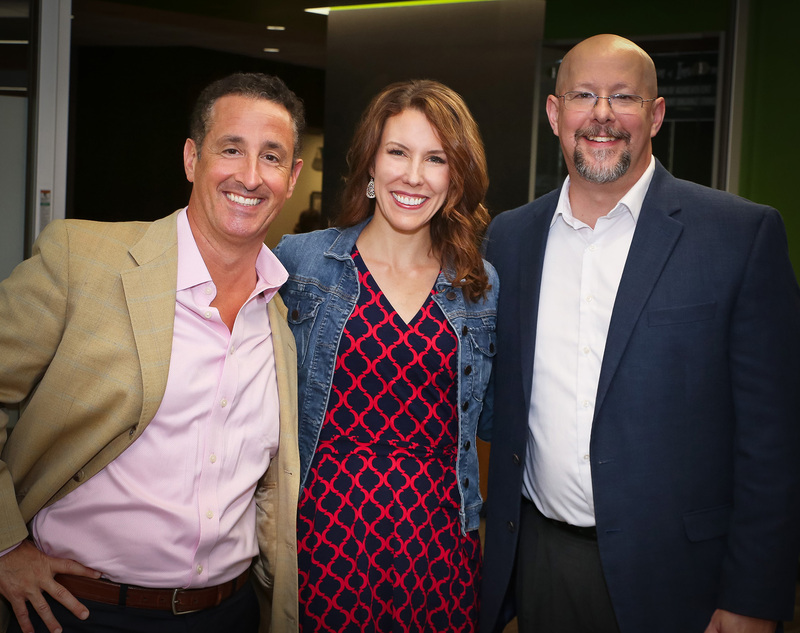 Here I am with Misty Lown and David Mammano, host of the Avanti Entrepreneur podcast which Predictive ROI is honored to produce. Misty was born and raised on the north side of town in little La Crosse, Wisconsin…a community of just 51,000 people in the southwest corner of the state…on the banks of the Mississippi River. La Crosse is a wonderful community — and it has been my home for the last 23 years. Growing up…Misty didn’t have much. Instead…she had a lot of obstacles. She had daily challenges…she didn’t have the abundance that she is blessed with today. Instead, she had struggles…in school…with peers…and in the choices she made as a young adult. There were people who counted her out…didn’t think she would succeed…that she wouldn’t amount to much. After all…she was a kid from the “North Side.” A hurtful and destructive label that was placed on her…and words can cut us to the core, Onward Nation. But Misty found her way…she committed her life to Christ. She wasn’t sure about the direction her life would take as a result…but she had faith and found how she could blend her mission with her passion for dance — but not as a dancer — but as a teacher. So after years of dedication and hard work…she opened a dance school in the small town of Onalaska, Wisconsin — and now 20 years later — Misty is highly regarded as one of the leaders in her industry. So much so…that Misty decided to begin sharing her knowledge and insights with other studio owners…the recipes to her success…and five years ago…a grand total of 15 studios signed on. And today…she licences what she calls “More Than Just Great Dancing” to 191 dance studios throughout the United States, Canada, and several other countries. I have personally seen Misty in front of her studio owners — at the awards reception — I have seen the love they have for her — and the love she has for them. I have seen the passion they all share for the worldwide movement they are creating — how they positively impact and mentor over 72,000 girls, boys, and young adults each week within their studios. And I have seen the tears of joy…in the realization for how they are making a difference. How they are changing lives. So, Onward Nation…your second key to navigating success is gratitude. My hope for you is that you will go back to Episode 544 and listen to Misty’s story. To hear the passion in her voice and then look at your own journey…your own circumstance…no matter what you are feeling right now whether that is an abundance or you are struggling…and I suspect Misty’s story will provide you with some fresh perspective. Ask yourself, Onward Nation…what about your path and journey can you be grateful for? Because it is through gratitude that you will unlock your abundance. It is a lesson I learned from my good friend, David Covey…son of the late Dr. Stephen Covey…author of The 7-Habits of Highly Effective People…one of the greatest personal and organizational development books ever written selling over 30 million copies worldwide. 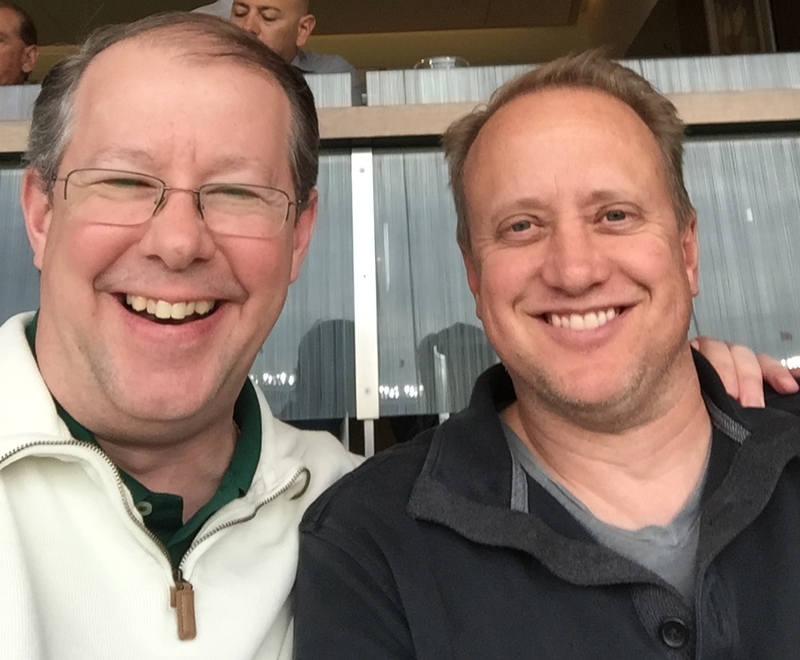 I first met David about four years ago when our mutual friend, Don Yaeger, decided to invite 25 of his closest friends…people who had impacted his life and business in a powerful way over the years to come together and meet one another. So we all meet Don in the lobby of the Hard Rock Hotel in downtown Chicago…to head to Wrigley Field for a Cubs game on the first night we were all in town. Awesome! Except David wasn’t in the lobby — he was going to be late because of a flight delay. So we make it to the game…and I “Achem” saved a seat next to me in the hopes David would sit with me for the game once he got there. And he did…rock solid awesome. So after a few minutes of exchanging pleasantries of how we both knew Don, I said to David, “I read 7-Habits and it changed my life.” And then looked at David for his response…and he gave me a pleasant smile and nod. I mean, come on, Onward Nation…he gets this all the time, right? And again, David smiled and nodded — and then turned back to the game on the field. And a friendship was born because he could then see that I wasn’t bluffing and that I had put in the time into studying and mastering his father’s work. And over the years, I have spent a lot of time thinking — contemplating — asking myself the question — is there one Habit that is greater than the others? Is there one Habit that can help a business owner create a high performing team…a culture where teammates truly love one another and would do anything to see their co-worker become successful…because when the team succeeds…everyone succeeds. It’s one of the reasons why I ask our Onward Nation guests about their own daily habits — because habits are powerful. And in my opinion…yes, there is one Habit that stands above the rest. It is Habit #4 — Think Win – Win. Because when you think win – win — and you teach your employees how to think win – win…an amazing thing begins to take root in your company’s culture. Your team not only begins to think win – win — but they begin to approach every situation as an opportunity for everyone to win together…clients…customers…vendors…teammates. Everyone. Which is why “Seeking the win – win — and — creating a culture where you all win together” is your third key to navigating success. Because when you instill this type of winning culture…and you nurture it…and you invest in it…and you protect it…your team’s performance goes way up. And in the process…you also build so much trust so that if and when performance falters…and we are human…so performance can never remain at the peak…you have made enough deposits in the emotional bank account of your teammates to be able to address and correct the situation. And if Sally truly embraces your culture — she will make the necessary corrections in her performance and get back to the high level you expect. Or, the conversation with Sally may ferret out that she is not the right team member for your bus and the win – win could mean helping Sally find a position with a different company and then you become her biggest cheerleader in the process. Onward Nation…that is why creating a culture of win – win and always winning together is your powerful third key to navigating success. When executed properly — with consistency — with excellence — it will move your business onward to that next level of performance. And it is a key that I learned directly from Kevin Harrington, one of the original Sharks from Emmy award winning show on ABC…Shark Tank. Kevin began working at the age of 10 in his father’s restaurant. He learned discipline. He learned grit. He learned tenacity. He learned what it took — at an early age — to be committed to something bigger than himself. And he also learned to be creative — and how much a motivated person could get done within a short period of time if they managed their schedule correctly. So when Kevin went off to college…he discovered that despite his full course load at school…he had time on his hands. So what did the budding entrepreneur do…of course…he started a heating-ventilating-air conditioning or HVAC contracting business because he wanted to create something that could provide a steady stream of revenue throughout the year…heating-related repairs in the winter and cooling repairs in the summer. And it worked. While he was a college student…Kevin built the business to over $6 million a year in revenue with 25 employees. As a college student, Onward Nation. I guess that is what future sharks do, right? Wow. But even with a successful business in hand…Kevin is the kind of business owner who is always looking to get better — not necessarily from a numbers and growing revenue perspective — but how can we improve our customer’s experience — how can we become more efficient at what we are doing? Continuous improvement. Can you name the product, Onward Nation? I bet you can…and if you guessed the Ginsu…you’d be right. And it is because of Kevin Harrington that Ginsu became a household name. Here’s why. After watching Arnold’s presentation of the knife to the trade show traffic…he watched Arnold collect payment from 8 out of the 10 onlookers. 80 percent conversation rate…not bad at all. Kevin began thinking of ways that he could get Arnold in front 10,000 people or more. And then the strategy hit him once Kevin got back home to Cincinnati. He was flipping channels late one night — and found color bars on the Discovery Channel. Since Kevin was a new cable subscriber and didn’t know what the color bars meant…he called the cable company the next day to find the root of the problem. They explained that the Discovery Channel only provides 20 hours of programming per day so the remaining four hours are filled with the bars when the network goes off the air. Kevin immediately asked if they would be interested in selling him the four hours because he had an idea of how to use them…and the infomercial was born. Kevin rolled out the Ginsu infomercial as a test in Cincinnati and they began selling knives like crazy — and shortly thereafter — Kevin was able to negotiate a national deal with the Discovery Channel — and the rest is history, as they say. But here’s the key…Kevin already owned a successful $6 million a year company — he already had 25 employees — and by most standards — was absolutely crushing it. But, Kevin knows and lives by “Life is not static” and he is always on the lookout for the next thing…the next opportunity…that next business that he can move into his portfolio of companies that will continue to grow his business. And that is why Kevin has been part of 20 companies that have reached sales of $100 million each…and over $5 billion in total sales worldwide for his companies…and it earned him a seat at the Shark Tank table. So…life is not static…no matter how good your business is now…it won’t last unless you work hard to keep it…and no matter how bad your business is right now…the hardship won’t last as long as you are willing to work hard to correct it. Key #1: your inner circle matters…as taught to us by Peter Maronitis. Key #2: gratitude…as taught to us by Misty Lown. Key #3: create a win – win — we always win together culture…taught to us by David Covey and the 7 Habits. And Key #4: Life is not static…taught to us by Kevin Harrington from Shark Tank. My hope is you will take an apply all of these keys into your business right away and accelerate your results. Okay…Onward Nation…with that said…I want to say thank you. Thank you for taking the time to be here with me today. Thank you for making Onward Nation what you listen to, what you study, and to be one of your resources as you navigate your success. We all have the same 86,400 seconds in a day — your time is precious — and I know you have lots of options you can choose to download — and the fact that you chose this episode means a lot to me and my team. Please know — I always want your feedback. You can email me directly at stephen@onwardnation.com, or you can find me on LinkedIn, Facebook, or Twitter — no matter where or how we connect — please do let me know what you think. Thumbs up or thumbs down. Your feedback has been a critical ingredient to Onward Nation now being listened to in 113 countries with nearly 28,000 email subscribers. So honest — please let me know what we can do better. I appreciate you very much and hope you have a rock solid awesome, Wednesday.